When Adam Lambert paints the town red… he meant it. For the past few months, Adam Lambert were hitting American tabloids and the internet for his ‘extra curricular activities’. Well… at this point everything is OUT in the open and so are these pictures I have garnered in cyberspace. Apparently he has tons of photos of himself kissing with with some dude online that were posted on “Vote for the Worst’s message board“. 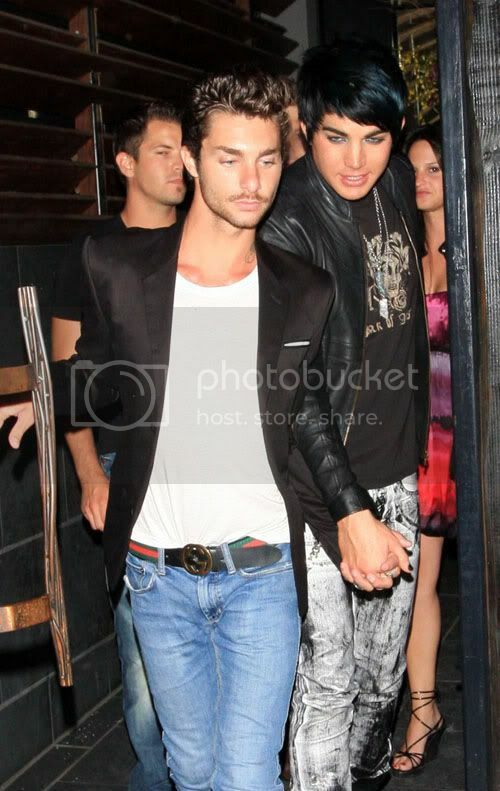 But on a positive note — it appears that Adam Lambert is not promiscuous, the photos BELOW are of the same guy.